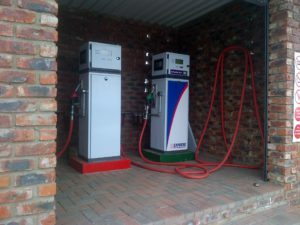 One of Ehad’s most popular and economic fuel Dispensers has taken Africa by a storm. Ehad Compact series has been proven to be a favourite amongst hundreds of clients. Durability and uncomplicated installation is the key for the great success of the Compact series. The Compact series shares the same components as Ehad retail fuel dispenser range, making the compact series one of the most popular fuel dispensers. The Compact series is a retail fuel dispenser, used from commercial and retail uses. The Compact series was developed 8 years ago for harsh conditions. As all Ehad Fuel Dispensers, the Compact series comes with a 1 year warranty. Parts are on hand and available directly from Ehad, giving customers quality and quick service. The compact series comes with a suction type pumping unit and motor, two display boards, keypad and communication connectivity therefore making the compact series user friendly for all uses. Request a quote; we are confident that you will be satisfied with our affordability and quality.